The days of having a part-time IT staffer for your law office are over. There are too many security threats, too many adverse weather events, and too many accidents waiting to happen. Information technologies have moved to the forefront of the law office, just like in every other industry, because our business depends on fast access to data as we respond to client demands. Cloud technology is the driver of these trends. Law offices now depend on the cloud for everything from e-discovery to practice billing software. A Thompson Reuters article quotes an Am Law-LTN Tech survey as saying 51% of U.S. law firms have migrated some services to the cloud. But what the study didn’t show was who helps manage the integration of these disparate cloud service packages, along with monitoring corporate security. The answer for many law firms is a managed cloud service provider. Managed service providers can help with these and other issues related to your cloud migration. The cloud offers scalability, flexibility, and lower costs, but how fast you migrate may depend upon the life expectancy of some of the legacy platforms you already have in your office. 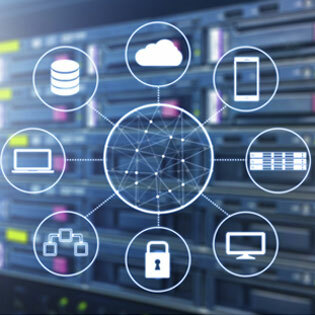 A managed IT cloud service provider can help you craft an orderly transition of services while maintaining the security of your legacy platforms. Cloud migration comes in a variety of forms, chiefly public, private, or hybrid. Managed cloud service providers can help you determine which is best for your business model, and then help you deploy it. Even understanding which of your current software applications can integrate with cloud software takes some skill. A managed cloud service provider takes the guesswork out of this process while saving you time and money in downtime. Customizing your approach to cloud services is a crucial part of your migration. Having a cloud service provider to chart your course, while working with your team to provide elbow-to-elbow training and support is imperative to a successful transition. These IT professionals can ensure that you use these models in the most efficient way possible without any unforeseen hiccups along the journey. A managed cloud service provider can become your firm’s best advocate when it comes to understanding the risks and responsibilities of these new technology models. Contact TOSS C3 to find out how we can help your firm safely navigate your cloud journey. Request a quote now.